After years of nothing but grueling training and the desperate dance of death that is the life of an acolyte Arbiter, D’Arden Tal has been named an apprentice. He has been assigned to learn from Havox Khaine, one of the greatest Masters in living memory. For two years they have traveled across the known world, and now they enter a tiny kingdom on the edge of nowhere. 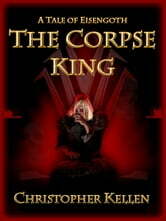 Rumors abound that the monarch of this kingdom is insane, and has created a demented puppet court… of the dead. With this novelette, welcome to the world of Eisengoth: a dark fantasy realm ruled by insane gods, and the setting for ELEGY: Book One of the Arbiter Codex. Heroic fantasy for fans of Conan (Robert E. Howard), Kane (Karl Edward Wagner) or Geralt of Rivia, The Witcher (Andrzej Sapkowski) with a Lovecraftian-horror flair. Now including a 2,000-word sample of ELEGY: Book One of the Arbiter Codex! A well-rounded short tale for gothic fantasy buffs. The immersive, but simple, storytelling style sets a cracking pace for a wintery night of horrors. A non-demanding, entertaining read that will lure you in for the full series. 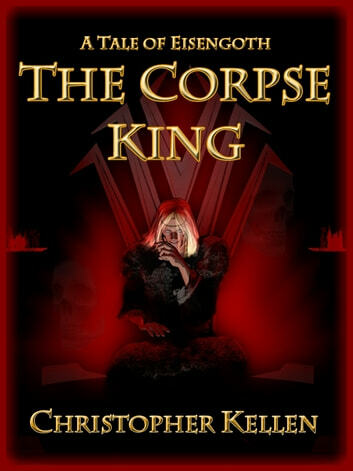 The Corpse King is a novella designed to be an introduction to Tale of Eisengoth, however, it felt like I'd been dropped into their world with no idea of what was what. They have flaming blue "manna" swords. They stab themselves in the heart with a crystal needle. They are called Arbiters, but no clear understanding of who or what they are is given. Maybe I need everything given to me on a plate, but instead of world building, it was already fully formed by the time I started to read. It was written well, with no editing or grammatical errors to be seen. With detailed and sometimes gruesome descriptions, this is not for the young or faint of heart. A good story that I enjoyed, but without enough world building for me. Merissa Archaeolibrarian - I Dig Good Books!